Diamond PM provides project management services across a wide range of industries as well as culturally diverse organizations. We coordinate project teams, stakeholders, advisors and activities both onsite and offsite with cloud-based applications integrating information, tools and methodology to keep project teams engaged and the project on track. Our systemic approach is customized to the organization’s vision, scope, and budget bringing together the necessary resources to deliver on short or long-term objectives. 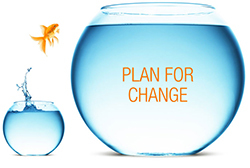 Diamond PM provides consulting services for clients planning a project or a business change. Whether it’s a continuous improvement initiative, a physical relocation, a technology change, or multiple short-term projects we can assist in planning, mentoring and monitoring your project. We plan and coordinate the activities of the project with the internal and external team members. Diamond PM leads the process with an established framework to clearly define activities, outline responsibilities and establish a solid communications plan. As a single point of contact we manage communication cycles, set up and maintain project information and monitor the overall timeline of activities to ensure timely completion of the phase of work. As an integral part of the team we provide specific project management expertise to leverage the efforts of key resources saving time and money. We also provide data room hosting, project planning and portfolio management for our clients. Ask about an initial complimentary consultation.